I have pulled this post out of What Might Have Been At Walthamstow And Woodford, as I want to have a series of linked posts that described the various ways that the Chingford Branch Line could be improved. In the Future Developments section of the Wikipedia entry for the Chingford Branch, it is said that there may be a station at both Forest Road and Chingford Hatch, either side of Highams Park station. This map shows the area. The red arrow indicates Chingford Hatch, with the two stations shown being Highams Park in the middle and Wood Street at the bottom. 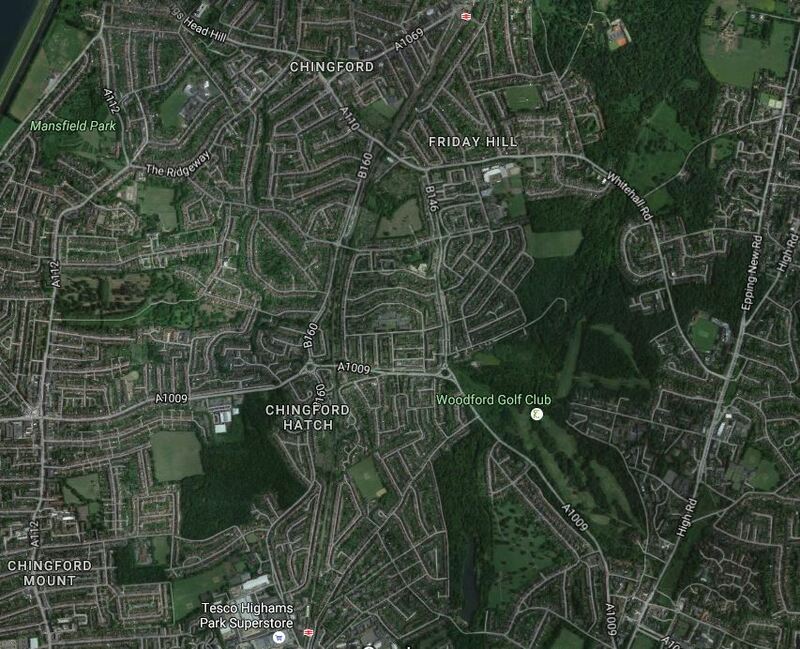 This Google Map shows the location of Chingford Hatch between Highams Park and Chingford stations. Chingford station is at the top and Highams Park station is st the bottom. I suspect if the station is built, it will be somewhere near the roundabout. The railway is a short distance to the East. As the railway appears to be on a bridge, it won’t be a simple station to build. 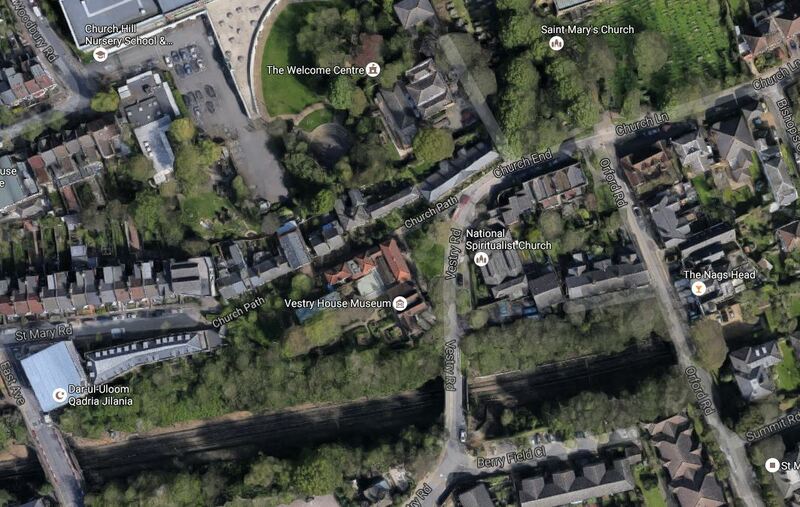 This Google Map shows the probable location of a new station on Forest Road in Walthamstow. The station would probably be built where Forest Road crosses the railway line. I suspect that if the station was built, it would be a simple affair with platforms on either side of the current line. At present there is no more information on either station. This Google Map shows the up-and-coming area of Walthamstow Village. The railway is in a deep cutting and I suspect despite what the locals might think a station wouldn’t be practical. But I suspect, there would be space for a reversing siding, that could be used by trains reversing at Walthamstow Central station. Both proposals look sound, but passenger statistics will define if new stations are built. Could Electrification Be Removed From The Chingford Branch Line? Could Reversing Sidings Be Used On The Chingford Branch Line? Could The Hall Farm Curve Be Built Without Electrification? Will Walthamstow Central Station On The Victoria Line Be Expanded?